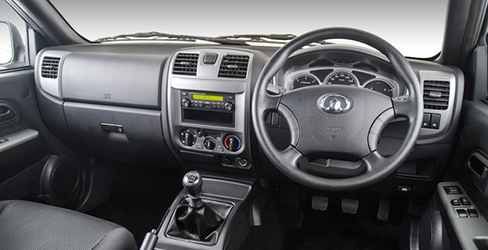 All Steed 5 Single-Cabs are equipped with comfort-boosting features such as air-conditioning and power steering as standard, Steed 5 Double Cab is all for roughing it without breaking the bank. Receive up to R12 000 in trade assistance. Terms and Conditions apply. Images for illustration purposes only and may differ. Offers valid while stock lasts. Subject to in-house finances where applicable. Only financed through GWM Finance. E&OE.